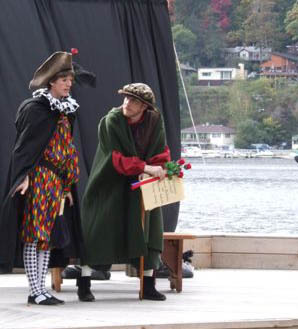 The concept of starting a resident theatre company and arts association in Greenwood Lake, New York first surfaced in the winter of 2003 when Dr. Emilie Cozzi, Artistic Director. and Barbara Moore, then Deputy Mayor of the village, discussed the possibility of such an exciting enterprise as an extension of the village's summer concert series. 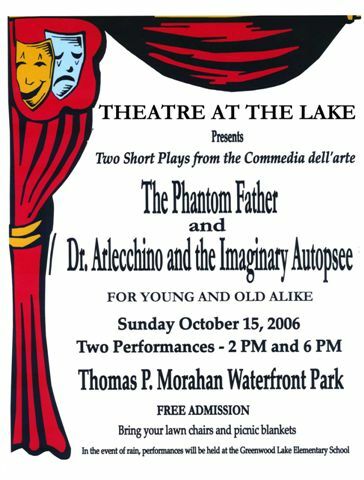 Three years later their vision became a reality, when Theatre at the Lake/Greenwood Lake Association for the Arts, Inc. presented two farces in the commedia dell'arte tradition, The Phantom Father and Dr. Arlecchino and the Imaginary Autopsee on the new lakeside stage at Thomas P. Morahan Waterfront Park. 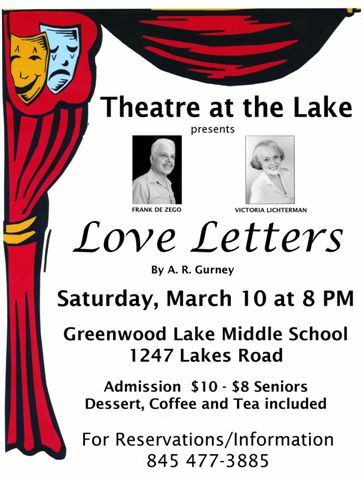 play, Love Letters , featuring veteran performers, VictoriaRauch-Lichterman and FrankDe Zego in the theatre of the Greenwood Lake Middle School. 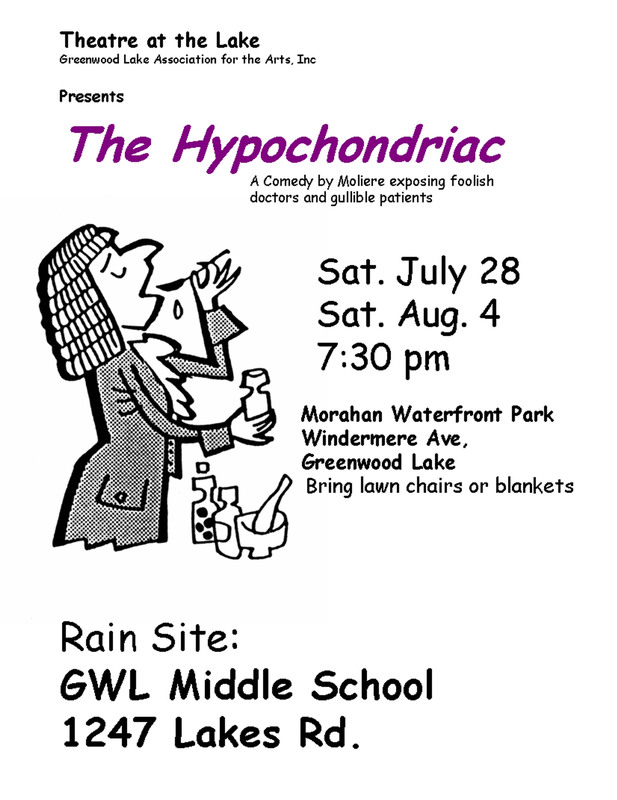 In 2008, Theatre at the Lake presented the documentary Greenwood Lake Voices and Images, which will be shown again at the Waterfront Park in the summer of 2009. In 2009 the theatre company presented Vaud'ville-20's Style, a musical comedy revue.